TAMPA, Fla. – The 2018 United Soccer League Winter Summit opened on Monday in downtown Tampa at Marriott Waterside Hotel & Marina as the organization’s leadership welcomed representatives from clubs across its three leagues for a week of meetings and presentations in the Sunshine State. The event opened with the assembly of the USL Championship Board of Governors, where USL Chief Executive Officer Alec Papadakis, President Jake Edwards and guest speakers addressed the assembled club representatives following the conclusion of the biggest year in the organization’s history. In addition to the meetings of each league’s Board of Governors, there will be numerous daily presentations that span all facets of club operations to offer insights and best practices, the goal of which is to maximize business performance across all levels. A wide range of organizations will also be on hand, including members of the growing USL Preferred Supplier Program that has seen rapid expansion in the past year, for the annual trade show that has established itself as a major part of the Winter Summit. 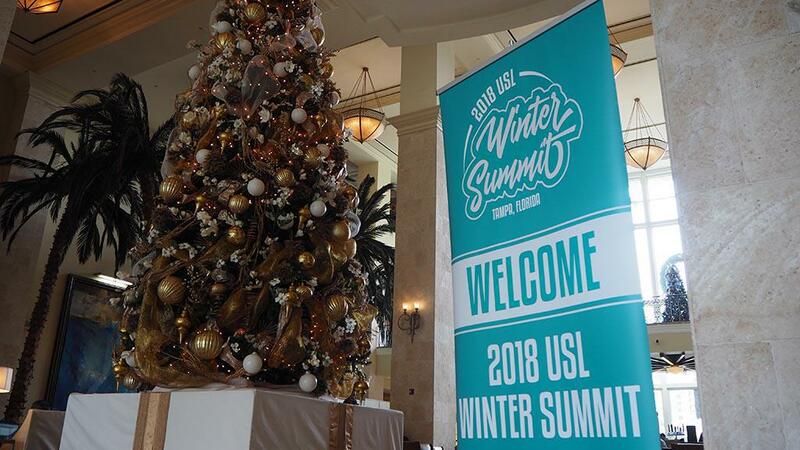 Follow live updates and take part in the 2018 USL Winter Summit by using the hashtag #USLWS18 on Twitter and Instagram. The USL and its leagues can be followed on Twitter for news from the Winter Summit at @USL_HQ, @USLChampionship, @USLLeagueOne and @USLLeagueTwo. ©2019 Hartford Athletic | Connecticut's Only Professional Soccer Team / SportsEngine. All Rights Reserved.